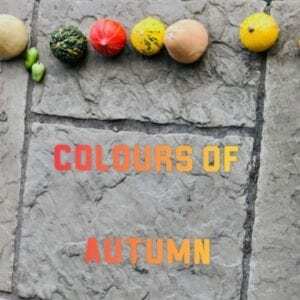 Autumn is such a gorgeous time of year with stunning colours and an abundance of seasonal goodies to eat. Lets face it, there is only so much salad a gal can eat and after our long hot summer (have we already forgotten that ?) I am looking forward to getting busy in the kitchen trying out new recipes for all you lovelies. I have been focusing on meals that are packed with goodness, each ingredient giving us fantastic nourishment, anti-ageing and other significant health benefits but which are easy and quick to prepare as we are all so rushed these days. Keep an eye on your inbox next week when I will be posting my favourites to share with you all. You may have noticed I am trying out a new form of newsletter and once a month I will do a more general one with bite sized nuggets of health and wellness tips and things I am going to try out in the month ahead so we can all hop on board and give them a go too. There will be a recipe as well (so keep reading down towards the end for that👇🏼) and a few other regular features too so leave me a comment and let me know what subjects you would like to hear and learn more about and I will get on the case ! We live in a culture where there is big resistance to “feeling good”, maybe some of you guys identify with that as I do. Have you ever thought to yourself “I have to struggle to achieve …?” or “ I am too old to do …?” or “I need to work harder to reach …?” well all these thoughts develop negative resistance to the good we wish to attract into our lives. I am the first to hold my hands up and admit to thinking this way, but how to break old habits ? It’s hard isn’t it to reset that negative chatter inside our own heads. So, to try and reverse that pesky back chat I thought I would try out something new this month. I am going to put a daily mantra onto my phone schedule to pop up at the same time every morning and it will be the first thing I see when I grab for my phone post cuppa in the morning. I also made a little photo (excuse the emoji’s🤩 but I just can’t help myself) with the same mantra and popped it on to my home screen too – we forget how many times a day we look at our home screens so I thought that was a great place to receive some positive subliminal message from – a little DIY positive brainwashing if you like. How about giving it a go too, pick this mantra or something more relevant to you that will nudge you into a fabulous mind set each morning and set you up for the day ahead. If you gals get to liking this new feature I will post my favourite mantras more regularly. I wrote a post last week all about how great mini trampolines are for you, not least the fact that they are a fantastic and quick cardio workout, bouncing makes you feel super perky and does wonders for you mental health as well as having loads of other health benefits too. I have gone ‘bounce mad’ on mine (see bonkers pic of me leaping about when you hit the link below !) and I have even gone so far as to set up a trampolining playlist with some cracking favourites to keep us all motivated, I’m talking Wham and Queen meets Robin Schaltz and DNCE !! If you would like to read more then hit this link here. If you are in need of a bit of snack inspiration to curb any afternoon sugar crashes then give my latest recipe a go. Think chocolate rice krispie cluster/reeces peanut butter cup all rolled into one but with no nasties !! Hit this link to see how to make it! Autumn always has a bit of a “get back on track” feel to it doesn’t it. Re-aligning our bodies and saying goodbye to any naughty habits which have crept in over the summer, sound familiar..?. Dialing back on the sugary foods and that odd glass of vino that we have got used to having every evening, mixed in with a little bit too much caffeine in the mornings as we adjust to new school and work schedules left me thinking that we are in need of a detoxifying herbal tea to help us cleanse from the inside out. I have been drinking a batch of this tea, my version of the one I originally stumbled across on Jasmine Hemsleys site, one day a week for the past four weeks just to give myself a helping hand with the detoxing and to make sure I am drinking enough water. 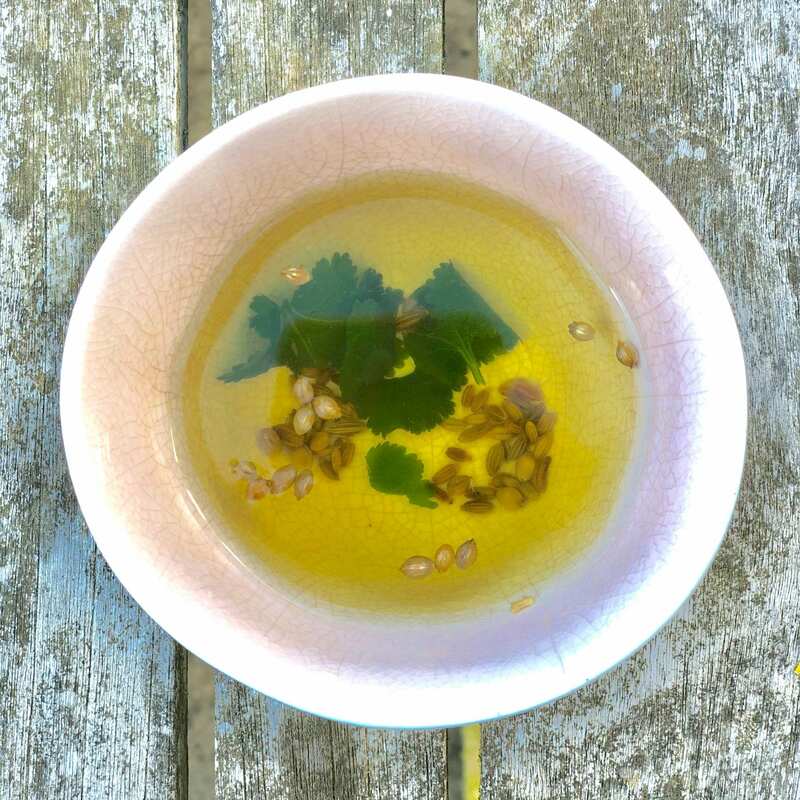 I have really enjoyed the ritual of preparing and drinking this fresh and easy Cleansing Herbal Tea so I have added it in to the newsletter for you guys too. Do let me know what you think ! 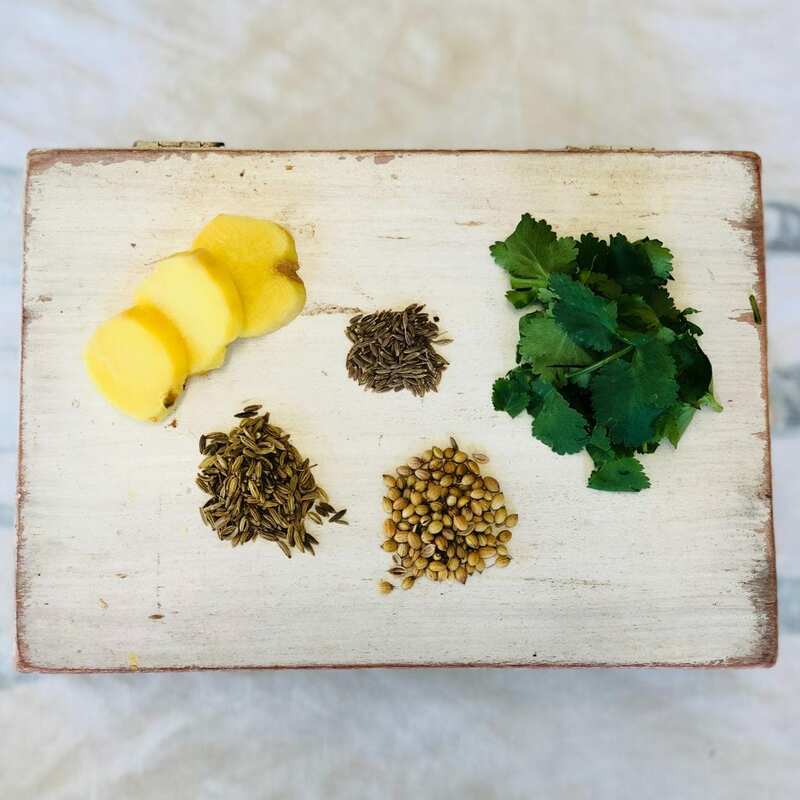 Gather all your herbs and spices together. Boil 1 litre of water then add your herbs and spices and continue to simmer it on low for approximately 5 minutes. Turn off the heat and leave it to cool slightly so that you are able to strain and pour it into a 1 litre sized flask safely. It will keep warm until you are ready to drink it. 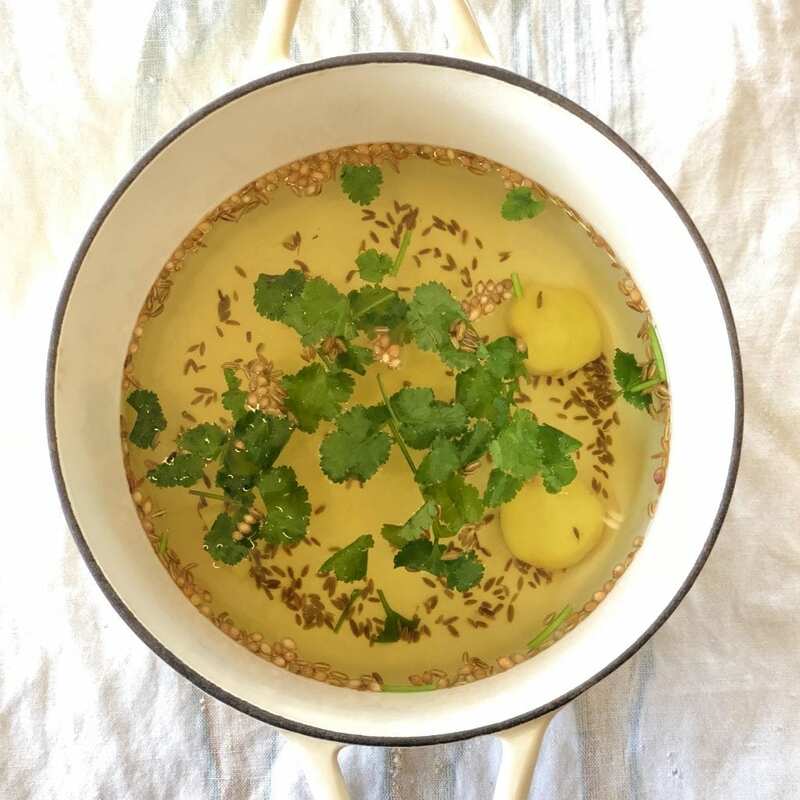 I make this last thing at night or first thing in the morning and then I aim to drink the litre of herbal tea throughout the day if I can when I am feeling in need of a detox. Although it has cumin in it the taste is not to over powering but if you find it unpalatable add a dash of lemon juice to your mug of tea before drinking it. This freshly made herbal tea is really cleansing for the gut and helps the body to eliminate toxins and detoxify naturally, so it is a great herbal tea to start the day with. If you are interested in Ayurvedic principles and why these herbs and spices are so good for us then is a bit more food for thought. Cumin is considered a digestive spice which helps to stop intestinal spasms and remove toxins. Fennel helps build digestive strength. Coriander helps to clear irritating toxins, the leaves have a cooling quality and the seeds have a warming quality so take your pick I went for the lot and used both but its up to you ! Lemon is a great alkaliser, although it is acidic on the tongue, when you digest it it metabolises to an alkaline state and so is really beneficial to drink first thing in the morning when our system naturally tends to be more acidic. Acid forming diets contribute to wrinkles, dry skin, joint stiffness, fatigue and more so alkalising is a great way to turn the clock back on ageing👌🏼. You are a superstar if you have read this far so thank you so much for reading to the end and I hope you feel inspired enough to give the Cleansing Detox tea a go as well as setting up an uplifting mantra on your phone to send out positive vibes for a happy and productive day ahead. As ever do add a comment below if there are any topics you would be interested in knowing more about this month and in the future so we can all learn together to nurture better health & wellness and live a life packed with vitality and FUN 💞. these are my baby gourds which have been growing all over my veggie patch – too cute !